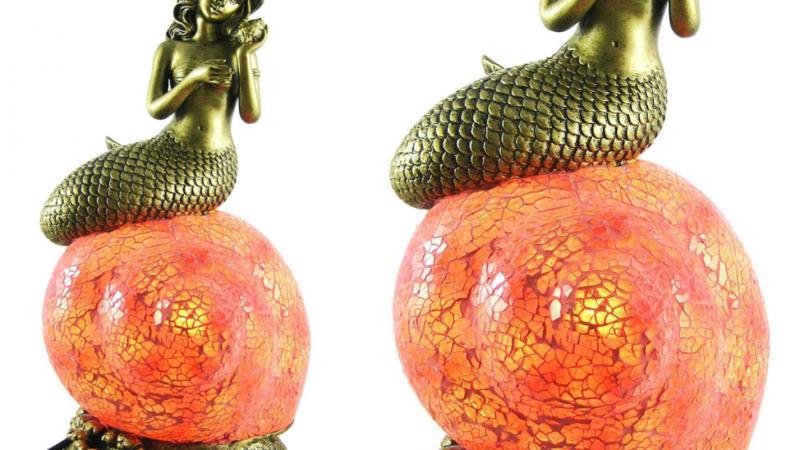 This unique bronze mermaid table lamp will be a stunning addition to your home. The warm tones have a distinct vintage feel and it is perfect for any beach house. It is made from crackle glass and cast resin with a beautiful bronze finish. It operates via a standard plug in power cord and stands approximately eleven inches high. Add ambiance to any room with this gorgeous feature lighting piece. Perfect for any living area or for your bedroom. Enhance a plain sideboard or table with this unique and functional home decor item. 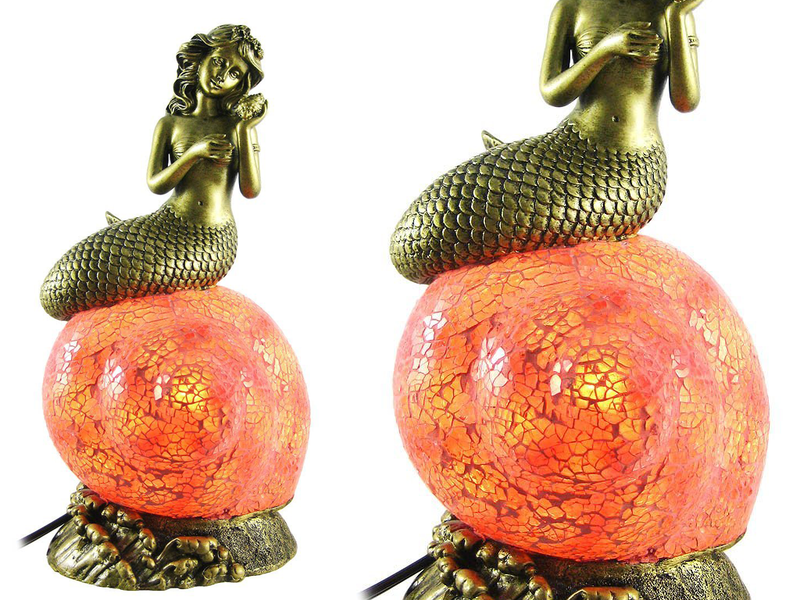 Anyone who loves the ocean or unique home decor items will treasure this beautiful lamp. Perfect as a gift for a housewarming, wedding or birthday. Some people just adore mermaids and if you know someone who does they will love that you bought them something so lovely. 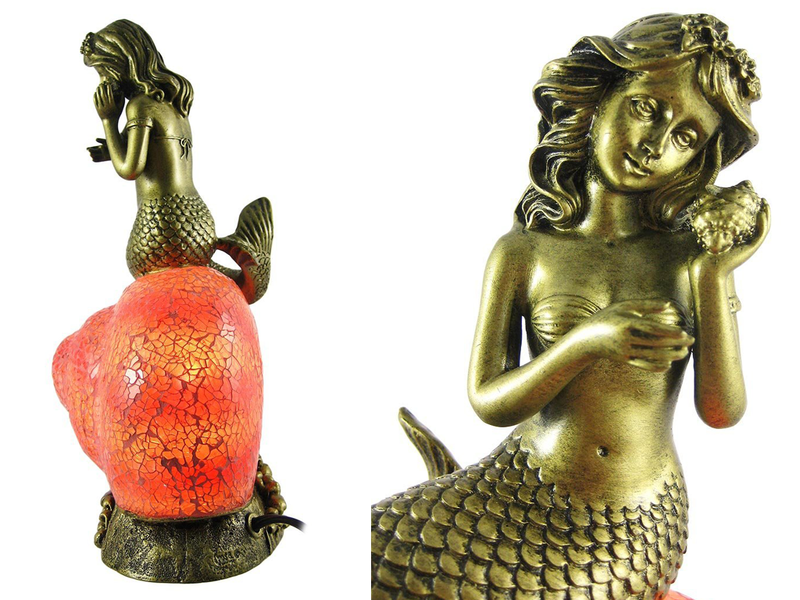 You can create a beautiful mermaid display on any table, shelf or sideboard in your home. Simply place shells, starfish or beachy artwork near your mermaid table lamp to create a truly special effect. This could also be a great place to display treasured holiday photographs of beaches you have visited or colored sands. If you have a room in your home that seems quite plain this lamp could be exactly what is needed. The tones are quite neutral so it is sure to match almost any existing decor. Perfect to accentuate browns, golds, whites or existing beach house style decor.